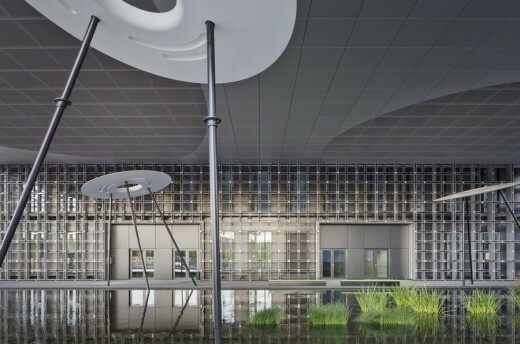 After a five-year construction period the Maison du Savoir has now been officially opened by Grand Duke Henri of Luxembourg and Luc Dhamen, director of Le Fonds Belval. 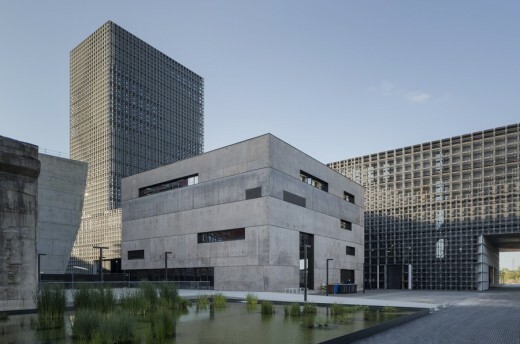 The „Maison du Savoir” is the new communications and administration centre of the University of Luxembourg in Esch-sur-Alzette. Following on their success at an international competition, be baumschlager eberle toghether with their local partner Christian Bauer & Associés have designed and built a landmark university building which symbolises the transformation of a former steel production site into a modern educational complex. The 50,000 square metre structure accommodates lecture halls, seminar and faculty rooms as well as administrative offices and catering facilities. 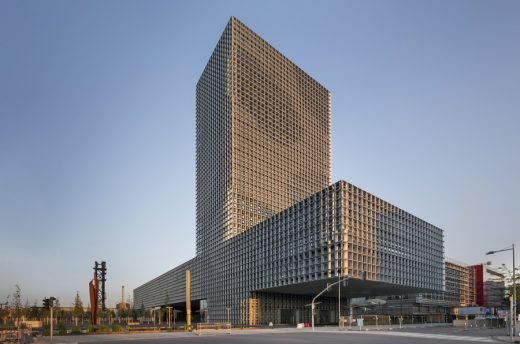 With a total height of over 80 meters and its vertical arrangement of offices, the knowledge center is among the highest administration buildings in Europe with a single-wall construction.